You are at:Home»Cruise Holidays»Destinations»Asia Cruises»Why has China become such a Popular Cruise Destination? Why has China become such a Popular Cruise Destination? If you’re yet to hear it on the cruise grapevine – China’s cruise market is booming. According to a recent study carried out by the Hong Kong Tourism Board: in the near future, 75% of the world’s total cruise passengers will be Chinese – with a staggering 54 million cruise passengers departing Hong Kong annually. Naturally this astronomic rise in passenger numbers hasn’t escaped the eyes and ears of western cruise lines. As of 2015, Carnival Corporation, Royal Caribbean and Norwegian Cruise Line were among the glut of western tour operators expanding to the Orient in an effort to claim their share of China’s innumerable cruise riches. But why is China proving such a popular cruise departure destination, and what can English-speaking cruise passengers expect to find by making the effort to travel there? The first thing to point out when examining China’s status as the world’s in-vogue cruise destination is that it’s the continent, not the country, that’s drawing the crowds. For both Chinese and international cruise passengers alike, Asia – particularly South East Asia – holds a certain exotic mystique; one that sees it top best cruise destination shortlists year after year. Cruising direct from Chinese ports, tourists are within a stone’s throw of some of the world’s most coveted destinations – think Thailand, Vietnam and Malaysia. Sure, flying will get you there faster, but you won’t see much of the world along the way. For Chinese tourists, the leisurely pace of a cruise ship offers an alluring escape from the hustle and bustle of everyday life – effectively transporting them to an era before the rise of high-tech gadgetry with which the country has become synonymous. And for international passengers? Well, a cruise simply offers the ideal way to see more of the world they’re passing through. Whilst it’s easy to pin China’s cruise success on the popularity of Asia as a whole, let’s not overlook the country’s cultural highlights and innumerable visitor attractions that draw millions of visitors each year. From historical gems like the Great Wall and Yungang Grottoes, to the eye-popping, OTT urban centres of Shanghai, Hong Kong and Beijing – China is awash with tourist hot spots that place it firmly among the world’s best-loved holiday destinations. Like any global holiday destination, word-of-mouth and popularity go a long way in drawing new and repeat holidaymakers to the region. Given China’s remarkable annual intake of cruise passengers, others are left to marvel at what all the fuss is about, leading them to book a place aboard a China-bound cruise too. And with more and more cruise lines expanding their fleet to the country every year – this is a trend that looks set to continue. Book a cruise holiday to China or Asia, and you’re just about guaranteed a memorable time. Why? No matter where your ship drops anchor, amazing experiences and fabulous sights and sounds are abound. Where else could you ride an elephant, see tigers in their natural habitat, and lounge on some of the world’s most beautiful beaches, all in one holiday? Nowhere – and that’s what makes Asia such an extraordinary cruise destination. Are you one of the millions of cruise passengers interested in a Chinese cruise holiday? 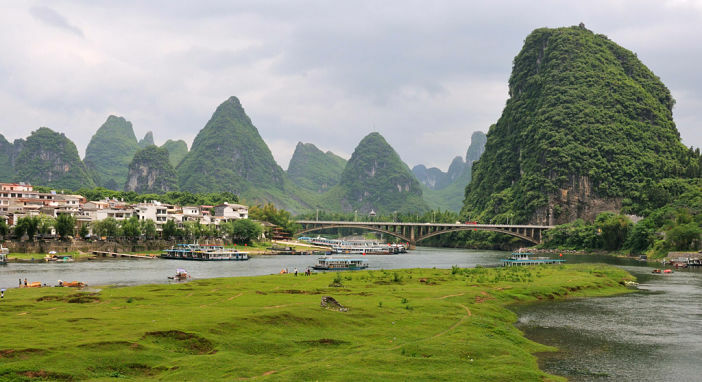 We’ve got some great China cruise and tour holiday packages offering incredible value. Alternatively, give our team a call on 1300 857 345 and we’ll be happy to help plan your dream trip. Images sourced via Flickr Creative Commons. Credit:musimpanas, Dennis Jarvis and M M.